Secaucus’s Amanda Ulrich Scores 2,000th Career Point! Senior St. Leo University Commit, Amanda Ulrich, scored her 2,000th career point on Tuesday night during the game against Lyndhurst. 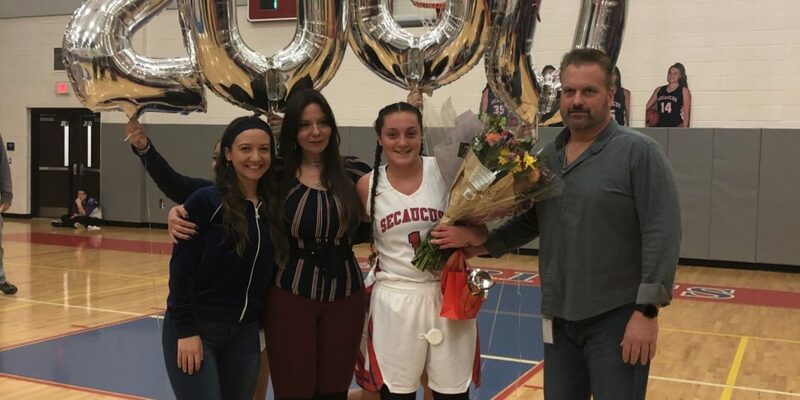 Ulrich is the seventh female basketball player in Hudson County history, and first from Secaucus High School, to hit 2,000th points. Ulrich went into the game on Tuesday with 1,995 points. She sunk a 3-pointer early on in the game, as well as a free throw. However, her second 3-pointer of the night is what got her to not only 2,000, but 2,002.